We protect biodiversity and human health from toxic substances while promoting a deep understanding of the inextricable connection between the health of humans and all other species. The industrial age has brought millions of pounds of toxic contaminants into our environment. Pesticides, synthetic chemicals, heavy metals and even chemicals from household products are now pervasive in our water, air and soil. This toxic legacy poisons the future for all life on earth. The widespread toxic contamination of our environment is well documented. More than 90 percent of the nation's waters and fish are contaminated with pesticides. Independent research has found more than 200 chemicals, many of them known toxins, in the blood of newborn human babies. In both humans and animals — including the California condor, green sturgeon, Tehachapi slender salamander and polar bear — toxic chemicals increase cancer rates, cause reproductive problems and contribute to a wide range of other health problems. 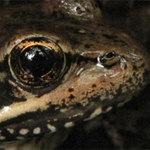 Pesticides, by design, are toxic to plants and wildlife. Their use, degradation and mixtures in the environment have resulted in pervasive water-quality contamination. The Center's Pesticides Reduction Campaign aims to secure programmatic changes in the pesticide registration process and stop toxic pesticides from getting into fish and wildlife habitats. Toxic contamination of polar bears is a good example of how pervasive pesticide pollution has become. Pesticides approved for use and applied in the continental United States are transported in the atmosphere, in the ocean and along biological pathways, eventually ending up in the Arctic, where they endanger the health of the entire ecosystem. Check out our report about how the pesticide glyphosate impacts farm workers and low-income communities in California. Endocrine disruptors are chemicals that interfere with natural hormone functions and affect the reproduction, development and growth of fish and wildlife, as well as people. Pesticides, pharmaceuticals, plasticizers, cleaning agents, cosmetics, antibiotics and drugs introduced into waterways and aquatic habitats act as endocrine disruptors. 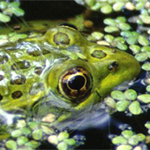 As drinking-water sources and aquatic wildlife habitats are being increasingly and unnecessarily contaminated by endocrine disruptors, the effects on imperiled species are profound. The Center continues our campaign to control endocrine disruptors and reduce their impacts on our environment. Lead is still entering the food chain through widespread use of lead hunting ammunition and fishing tackle, poisoning wildlife and even threatening human health. The Center's national Get the Lead Out campaign is devoted to replacing lead-based ammunition and fishing tackle with safer, nontoxic alternatives. We also work to clean up historic lead pollution. Lead-based paint at federal facilities on Midway Atoll kills up to 10,000 Laysan albatross chicks each year and also threatens the endangered Laysan duck. As a result of a settlement with the Center, the U.S. Fish and Wildlife Service announced a plan to clean up this toxic lead contamination to protect wildlife in the northwestern Hawaiian Islands. Two-thirds of the toxic mercury in our oceans is a result of manmade pollution from metal production, pulp industries, waste handling and coal production. The Center is also seeking innovative ways to reduce mercury exposure and increase awareness of mercury contamination. The primary source of mercury exposure for humans in the United States is contaminated seafood, and one-third of mercury exposure comes from consumption of tuna. The Center has petitioned the U.S. Food and Drug Administration to implement stricter regulations to protect women, children and all people who eat fish from mercury in seafood. Past mercury use has left a toxic legacy that can be resurrected through modern mining practices. Suction dredge mining in waterways not only directly hurts habitat for sensitive, threatened and endangered fish and frogs, but can also pollute waterways with toxic plumes of mercury leftover from the Gold Rush. The Center has worked through litigation and legislation to ban suction dredge mining in California. 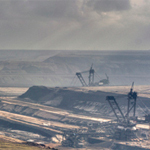 In addition to the direct physical impacts of coal mining itself, there are severe toxic impacts of air pollution from coal-fired power plants, the waste from coal-mining tailings and coal ash slurry. The Center's campaign to fight the harmful effects of coal energy takes on these threats. Coal combustion produces a number of hazardous byproducts, including mercury, selenium, CO2, nitrogen dioxide, sulfur dioxide and methane — which pollute the environment, exacerbate climate change and contribute to smog and acid rain. The Center, along with a coalition of environmental groups, filed a formal petition with the U.S. Environmental Protection Agency to establish, for the first time ever, limits on air pollution from coal mines throughout the United States. The Center has also worked to challenge individual coal production plants that pose particular threats to wildlife and ecosystems. 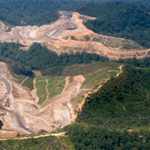 Mountaintop-removal coal mining is exceptionally devastating to ecosystems and wildlife. The toxins from mining wash downstream, poisoning animals that manage to survive in the toxic environment and tainting the drinking water of downstream communities. Uranium mining has left a toxic and radioactive footprint across many areas of the West. All phases of uranium development — exploration, mining, milling and disposal — pose unique threats to species, ecosystems and human communities. Uranium ends up in the food chain and causes irreversible pollution of waters. It can contaminate aquatic ecosystems for hundreds of years, threatening downstream communities and fish and wildlife. Even minute amounts of uranium can poison fish, accumulate in the food chain, and cause deformities and reproductive problems for aquatic species. The Center is engaged in a broad based campaign to fight uranium mining on our public lands and to limit uranium's toxic legacy, including our campaign to stop Grand Canyon uranium mining. Fossil-fuel drilling involving high-pressure hydraulic fracturing, or “fracking,” is a highly controversial and dangerous oil-drilling method linked to water contamination and methane production. Recent reports show that fracking has resulted in more than 1,000 documented cases of groundwater contamination, either through the leaking of fracking fluids and methane into groundwater or from aboveground spills of contaminated wastewater. The Center has worked to fight fracking in California and beyond — including offshore — to protect watersheds and wildlife. Check out our report Toxic Concoctions: How the EPA Ignores the Dangers of Pesticide Cocktails, examining how the EPA has approved nearly 100 pesticide products over the past six years that contain "synergetic" mixtures that make them more poisonous and increase the dangers to imperiled pollinators and rare plants. You can also read our report Lost in the Mist, which delves into how glyphosate impacts farm workers and low-income communities in California, and this letter on banning the use of organophosphate pesticides. Endocrine disruptors interfere with natural hormone functions, affecting the reproduction, development, and growth of fish and wildlife, as well as humans. Fracking is bad news: Sullied water. Greenhouse gas pollution. Threatened wildlife. Learn more about our fight to halt fracking in California and beyond. Coal mining comes with a steep environmental price, dramatically altering the landscape, degrading wildlife habitat and leading to the deterioration of drinking water. Help us get the lead out of the food system and fight the NRA's legislation that would let millions of birds, like condors, be poisoned by lead hunting ammo and fishing tackle yearly. Lead works its way up the food chain and can poison humans too. 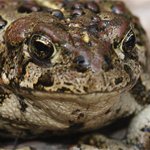 The Center has been protecting Bay Area species from toxic pesticides for decades, from the San Francisco garter snake to the California tiger salamander. 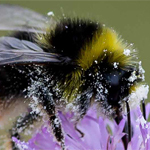 Did you know that you can thank pollinators for one out of every three bites of food you eat? 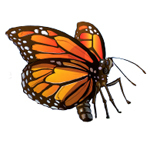 Learn more about what threatens native pollinators — and us humans. GMO factsheet: Don't Believe the Hype! Busting Myths About GMO Crops answers all you want to know about engineering myths and misinformation about the need, safety and environmental impacts of GMO products. Amphibians and reptiles are amazing cold-blooded creatures with clever adaptations that have let them brave millennia — but they now face threats more chilling than ever before. Atrazine is the most commonly used herbicide in the United States. It's also the most common contaminant of ground, surface and drinking water, dangerous to both people and wildlife. During mountaintop-removal coal mining, hardwood forests teeming with life are blown to bits — and the mining waste is dumped into streams, contaminating drinking water and poisoning people. We have a vision of freshwater protection that helps keep our waterways safe for drinking and swimming and also provides high-quality habitat for the native food web. Contact the Environmental Health Program.